Our studio garden is an ongoing source of inspiration and beauty. 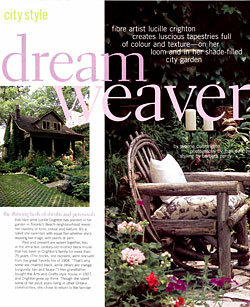 Lucille Crighton's garden was recently featured in Gardening Life. Click here to download a pdf of this article(1.5MB).